Eugene Albert, Brussels. 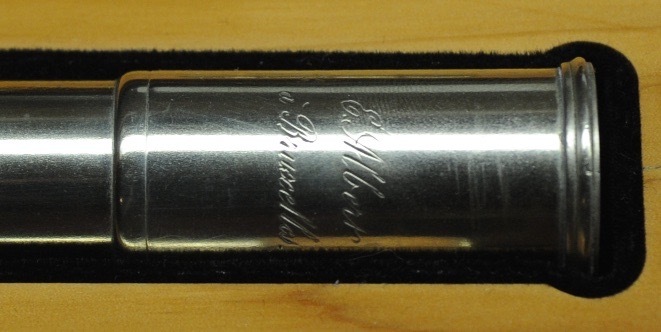 Silver plate Boehm flute. Albert was making flutes generally in a French style where sweetness is the most important component of the tone. 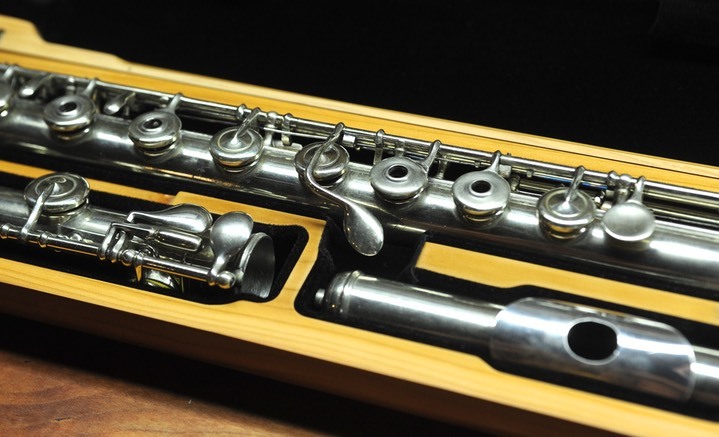 This flute has an open G# and an interesting Briccialdi B/B-flat key (made first in 1849). Pitch is around A-444-446. When purchased this flute had plateau (closed) keys and my restorer David Chu discovered that these had been added at some point. During the restoration he was able to restore it to original condition. Take a look at the link below to see before and after pictures. The current opinion on dates for this is 1855-1860.